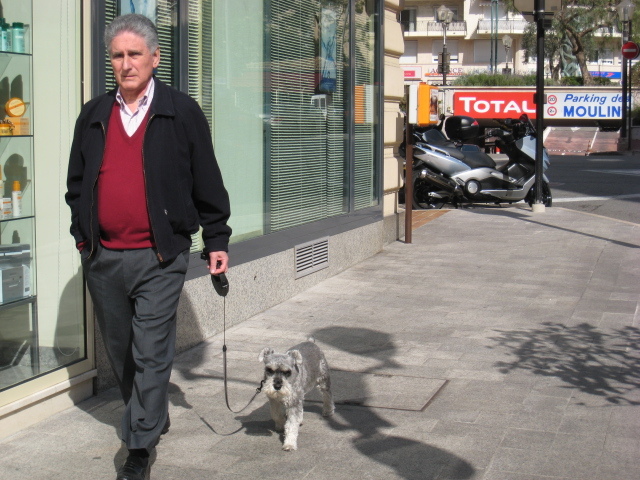 This rather smart Miniature Schnauzer is walking near to Place des Moulins with his owner - interesting both have the same colour hair. Wonder if they go to the same coiffeur? What's that saying about pets and their owners growing to look alike? Though maybe we subconsciously choose our pets to look a bit like us..
similar expression! grrrr walking little grr grrr!